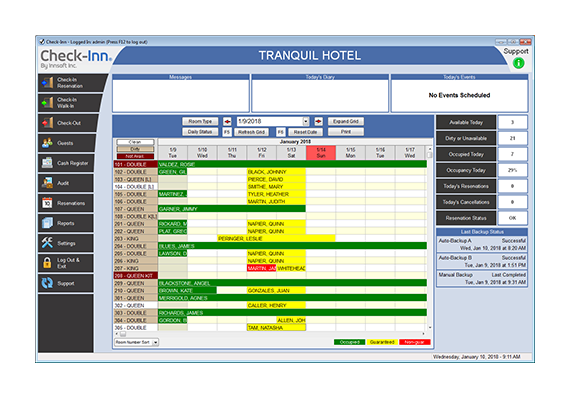 A Complete Hospitality Software Solution | Innsoft, Inc.
Check-Inn is a property and guest management solution for hotels and motels. It’s intuitive, flexible, and customizable for properties with up to 350 rooms. 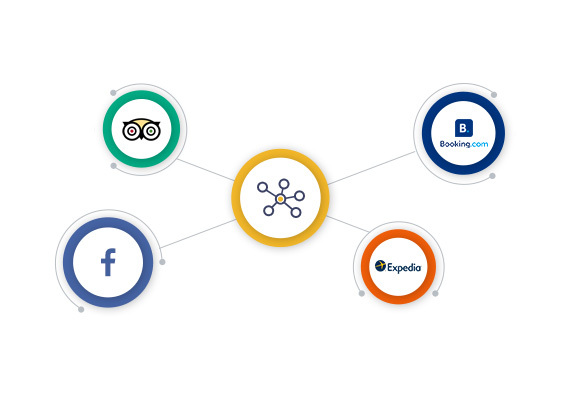 Seamless integration with online reservation interfaces such as Connect-Inn Channel Manager, Website Booking Engine, and direct connections to Booking.com and Expedia. Fully customizable rate system with yield management tools. Integrated EMV credit card processing with card tokenization. Innsoft’s Powerful, Easy-To-Use Booking Engine for your Hotel Website. Connecting your hotel with 100+ travel booking sites including OTAs (Online Travel Agents), GDSs, Vacation Rentals, Metasearch Sites and more. Connect-Inn channel manager allows you to effectively manage your online travel agents and website booking engine from one centralized location. With instant updates, you can minimize your over-bookings while reservations flow seamlessly into your Check-Inn system. 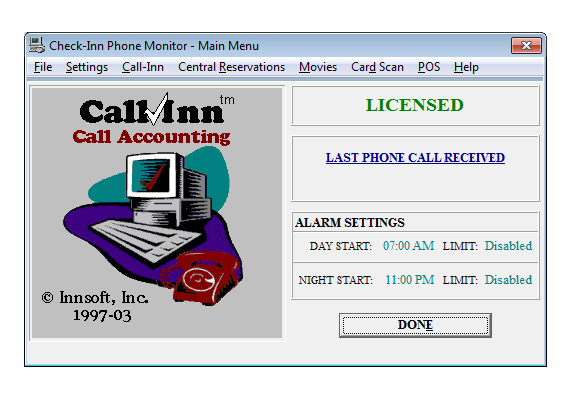 Call-Inn is a convenient, affordable way to charge for calls placed from room phones. 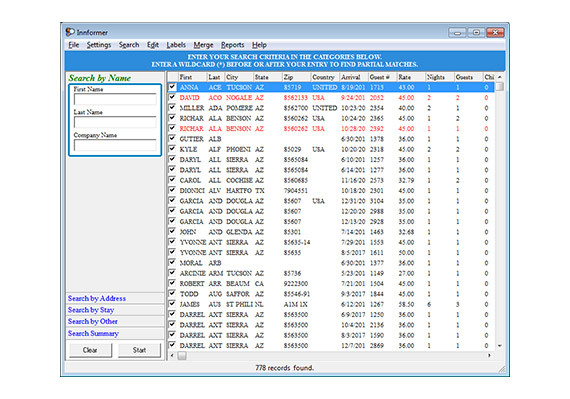 Runs in the background on computers equipped with Check-Inn property management software. Compatible with alternate long distance carriers. Innformer is a powerful hotel marketing tool that produces reports, direct marketing labels, mail merge letters and sales charts. Innformer empowers property owners to increase hotel revenue with specialized email and direct mail marketing lists. You can alert your valued guests about property specials and thank them personally for their continued patronage to encourage repeat booking. The marketing possibilities are endless. Accelerate and simplify front desk operations with Innsoft’s hardware solutions, developed for seamless integration with Check-Inn’s hospitality management system software. 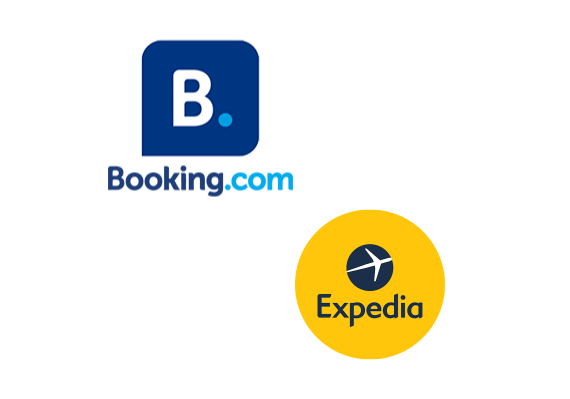 Expedia and Booking.com are the two most successful online travel agencies (OTA) in the United States. If you do not currently have a contract with one or both of these providers, we highly recommend contacting them to discuss their online reservation services. Click explore more for information about these OTAs and our two-way interface options for Check-Inn.